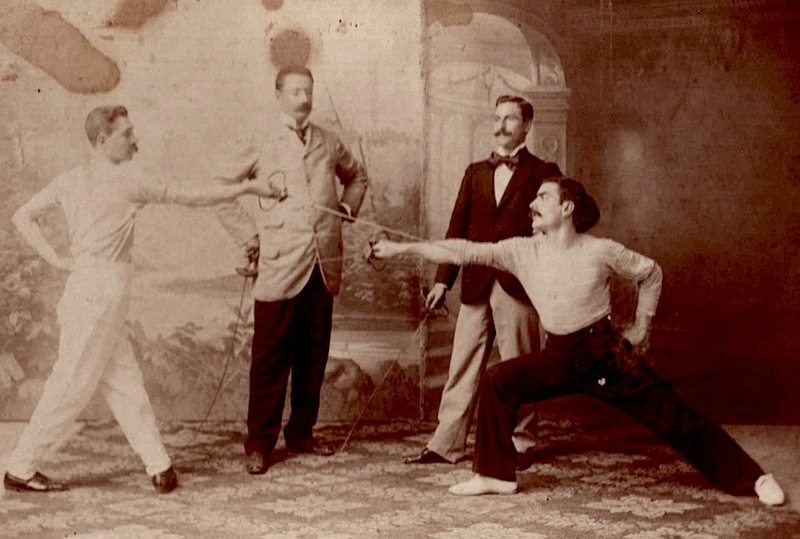 In the popular imagination, a classic 19th century duel consists of two men standing back to back. They begin stepping away from one another, fifteen slow, but steady paces, suddenly they turn to fire their pistols. The first shooter has a near miss. A cold, terrifying fear descends upon him. The other shooter takes dead aim at his heart. And with the second and final shot, honor is restored. One man is dead. The other man is now a murderer. The outcome has a stinging finality as two lives are shattered forever. Is that the way it really happened? Not always. Duels were often fought quite differently from what popular culture would have everyone believe. 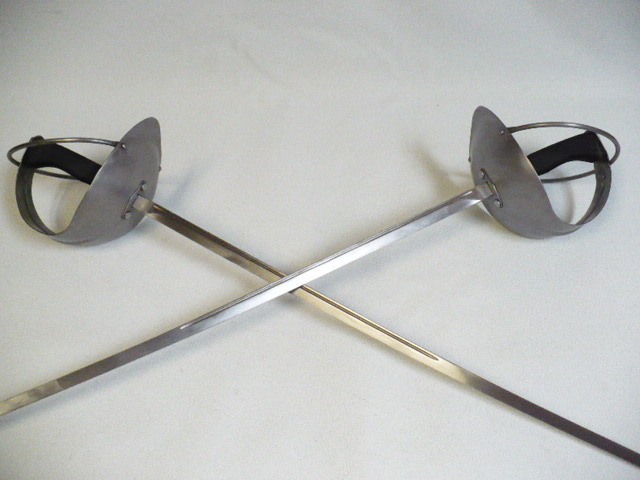 Dueling in the 19th century took place across much of Europe. It was axiomatic that the further east one traveled the greater likelihood that a duel would take place to settle both real and perceived grievances. The famous and forgotten, largely from the aristocratic classes, took up dueling with an alarming regularity. No less a personage than Otto Von Bismarck was said to have challenged a man to a duel, even though the practice had been formally outlawed in Prussia since 1851. Russia was a hotbed of dueling. The famed writer Alexander Pushkin engaged in 29 duels before he died of a wound to the abdomen incurred in his last, fatal duel. Duels could end in death, but they were born of pride and passion. In the Austrian administered province of Galicia the weapon of choice for duels was not pistols, but sabers. Duels were blood sport for the upper classes, used to resolve disputes when a person’s honor had been offended often by a perceived slight. The Galician aristocracy was largely Polish and the Poles had a long history of dueling, going all the way back to the Middle Ages. Unlike pistols, battling with sabers meant the combatants were in much closer proximity to one another. It was an intensely personal method of violence. To cut, slash or stab someone meant that the victim was within arm’s length of their foe, much closer than fifteen paces. 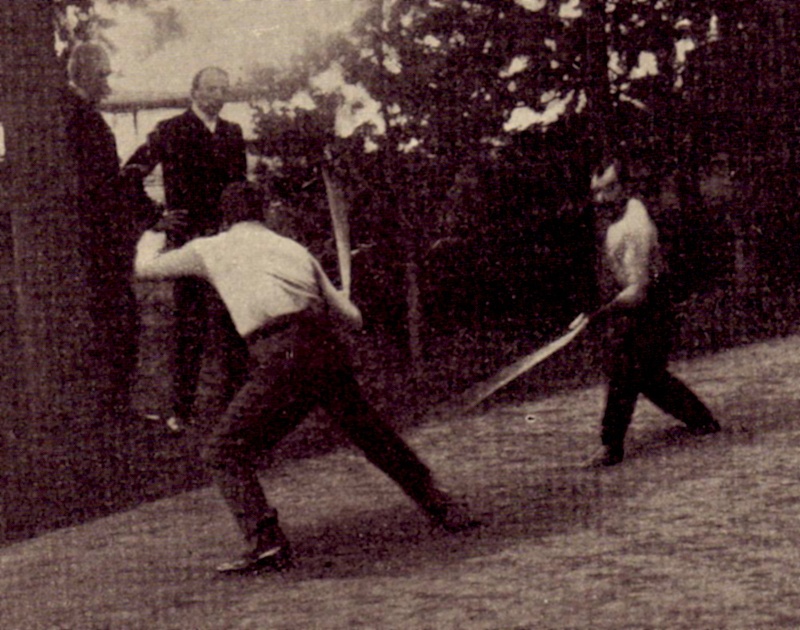 Duels were intensely personal affairs and saber duels the most personal kind of violent score settling. Death could be the ultimate outcome of what had started out as hurt feelings, the infliction of a mortal wound to pride. Some of the most passionate and famous duels were fought for the love of a woman. Passion was certainly the case of a duel that occurred in the heart of Lviv (Lwow in Polish) during the 19th century. On January 10, 1861, two men who had once been the best of friends prepared to fight each other with sabers. The duel cut quite literally to the heart of a matter. For it was an affair of the heart, two men whose inflamed passions for the same woman brought them to what would prove to be a mortal struggle. Both men were ethnically Polish and well known writers. On one side was Karol Ciszewski. He unfortunately made the mistake of introducing his soon to be bride to longtime friend Walery Lozinski. Lozinski fell for the woman immediately. His passion got the best of him, as he let the woman know his romantic inclinations for her. This sparked a war of the written word, as both men engaged in slandering one another in print. The upshot of the dispute was that Lozinski, the man whose unrestrained passions had started the problem, challenged his former best friend to a duel. His hot blood once again got the better of him. They met on a cold winter’s day in a clearing not far from the Citadel. Though Lozinski had issued the challenge, physically his poor eyesight and lack of height was a hindrance. Nonetheless, he managed to land the first blow, but it was not mortal. Ciszewski responded with a devastating slash to his former best friend’s face. The duel ended then and there. Lozinski was taken away for urgent medical care. The wound proved to be mortal. He would die a few days later. The city was plunged into mourning. An outcry ensued which resulted in Ciczewski being charged with the crime and being put on trial. He defended himself by stating that the two men had been fencing, rather than engaged in a saber duel. Improbably, he was able to prove his innocence. Cizewski may have walked away a free man in the legal sense, but his life would never be the same. Later he would be imprisoned for making critical comments about the authorities. His time in confinement left him a broken man. He died not long thereafter. Like all affairs of passion the outcome was decided by emotions rather than reason. It has been said that love is another form of insanity. It drives people to do things that are risky and foolhardy at best, dangerous and deadly at worst. The latter defines the Ciszewski-Lozinski duel. Whether it was love or lust, romance or obsession, the emotions aroused by these two men’s feelings for a woman led to a close friendship ending in murder. The survivor was no better than the victim. As for the woman, little is known about what became of her, but one thing is for certain. She lost the love of her life as well as a man who thought she could be the love of his life. In this duel of hearts everyone ended up a loser. This entry was posted in Lviv, Ukraine: The Story of a City, Ukraine and tagged Alexander Pushkin Duels, Ciszewski-Lozinski Duel Lviv, Duels in Lviv, Galicia Fighting Duels, Karol Ciszewski, Otto Von Bismarck Duels, The Citadel Lviv, Walery Lozinski by fortchoteau1. Bookmark the permalink.